Thursday 14 December every day until Sunday 24 December. 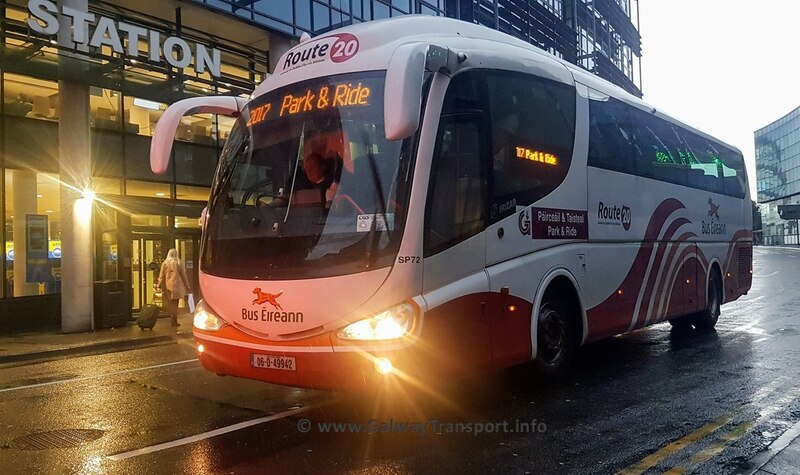 The flat-fare is €2 per adult, This includes all-day parking, and return bus travel for the adults and for any accompanying children ie children travel for free. The public announcements have not said what age counts as a child. However in 2014 the National Transport Authority determined that child-fares apply to all young people until their 19th birthday on services that it subsidises. It is likely that this rule applies.